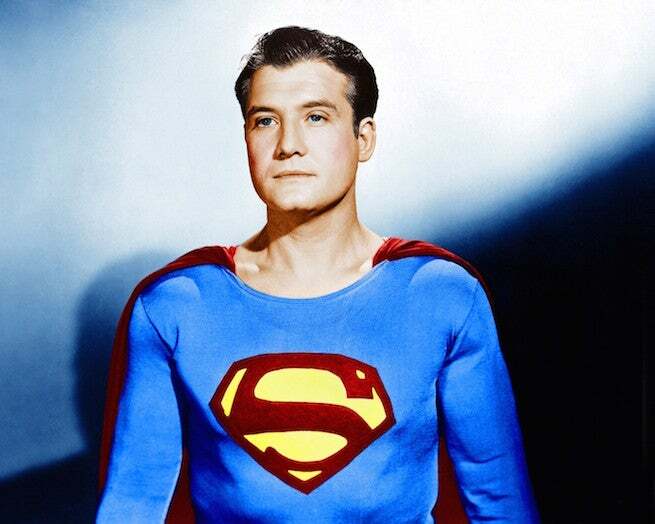 Today marks the anniversary of the birthday of a most beloved Man of Steel, George Reeves, star of Adventures of Superman. Born George Keefer Brewer January 5, in Woolstock, Iowa, Reeves' film career began in 1939 when he was cast as Stuart Tarleton, one of the Tarleton Twins and a Scarlett O’Hara suitor in the film classic, Gone with the Wind. Though Brewer only appeared in a minor role, the film’s unprecedented success resulted in Reeves landing a contract with Warner Brothers who changed his professional name to George Reeves. In 1951 Reeves was offered the role of Superman in a new series entitled Adventures of Superman. The show's success made Reeves a national celebrity. The following year, a struggling ABC network purchased the national broadcast rights to the series. As a result, Reeves practically became an instant celebrity overnight. Adventures of Superman is the first television series to feature Superman. It ran for six seasons with 104 episodes. It no doubt paved the way for other comic book adaptations which have followed. Reeves’ television credits and filmography is nothing short of stellar. Throughout his career he worked with Hollywood icons such as James Cagney, Ronald Reagan, Lucille Ball and Tony Bennett. He passed away on June 16, 1959. Reeves’ life was featured in the 2006 film, Hollywoodland. The Superman actor was portrayed by Ben Affleck, who will portray fellow DC Comics superhero, the Caped Crusader, in next year’s Batman vs. Superman: Dawn of Justice. The highly anticipated film is a testament to the Reeves’ legacy.